Some Dark Age of Sigmar goodness this week - animal companions and ghosts. 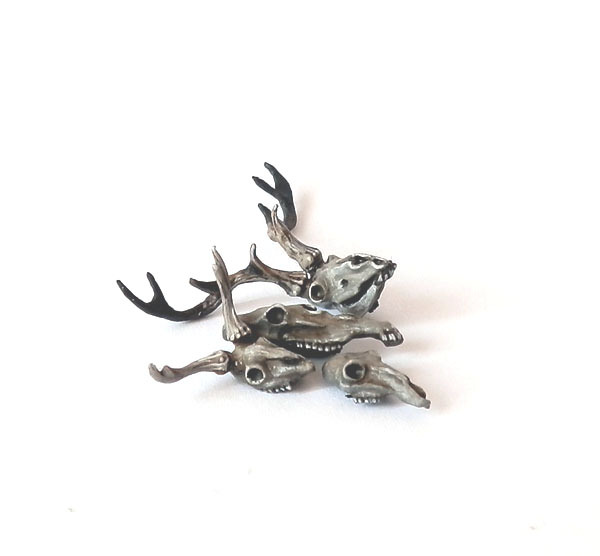 Gryph hounds are pack-hunting beasts from Azyr, "known to ally themselves to those fighting for a just cause". In AoS, Gryph Hounds run with the Stormcast, and are quite massive (except that one from WHQ: Silver Tower that fits on a 25mm base). I'm actually ok with the models; only their clown shoe paws are not to my liking. However, I wanted smaller gryph hounds that fit with my humans, and better represent the RoSD Hound profile I'll be using them for. Gryph Hound is closer in size to a horse than a hound. I converted them from Warlord hounds and GW Aetherwing heads left over from my harpy conversions. The feathery necks and ears are putty. Significantly toned-down like this, I think they fit the feel I'm going for. RoSD has rules for three different companion hound types: hound, warhound and bloodhound - and I intend to eventually make different breeds of Gryph Hounds to represent each. Until that time, these two can play all of those roles. Trained birds of prey. I converted them from Dark Eldar Razorwings. Their heads are completely resculpted. The minis were originally completely flat, like frisbees or something - a strange look. Perhaps it works for Razorwings due to some fluff reason (I really don't know anything about them), but it sure does not work for falcons. Luckily, before I started cutting I remembered they were resin, and it shoud be simple to get a more natural pose by bending the wings. But Finecast once again proves inferior; bending in hot water was more difficult than any other manufacturer's resin figure I've done it with. Barely softens at all, and once bent it tends to stubbornly go back to the original position. Regardless, I managed to persuade the wings into different poses in the end. This week I also painted some monsters for the warband of Order to encounter: Chainrasps. Pretty much unconverted, except for a couple hand swaps. I have more angry spirits of different kinds, so these will be getting friends in the future. 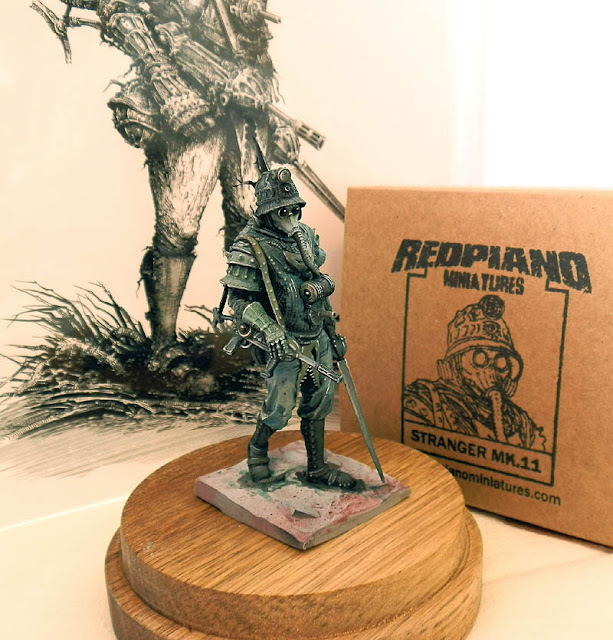 Stranger MK.11is a 75mm resin figure based on concept by Ian Miller. I rarely paint non-gaming minis, but I wanted this one as soon as I saw it. Painting is in progress now. My goal is to make something reminiscent of Miller's artwork; I thought that would be fitting. 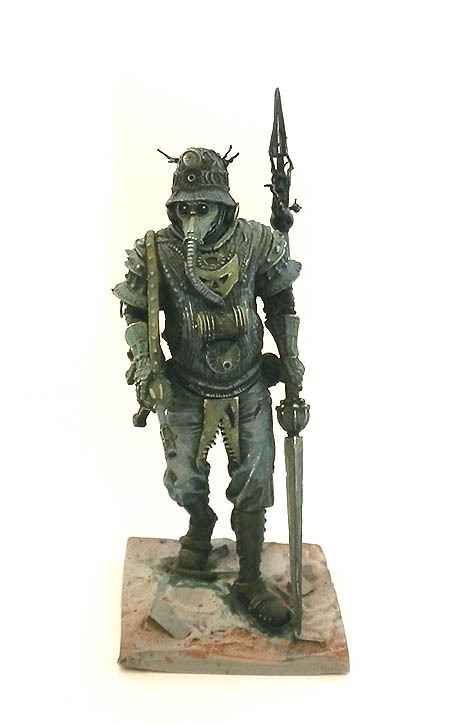 I've done some slight converting on the figure - just adding some elements from the concept art that were missing from the miniature. Roots and twigs. If you want to get a copy for yourself, head over to Red Piano Miniatures. Entering the coupon code 'Ana' will get you 15% off your order until April 13th (this Saturday). This covers everything in the store, including the special edition Stranger MK.11 that comes with a signed and numbered Ian Miller print. I began sculpting a robotic dog to accompany the Stranger. I intend to put the mini in an Ikea glass dome; another, smaller figure will help fill the space and improve the composition of the piece. More on that in the eventual follow-up post. 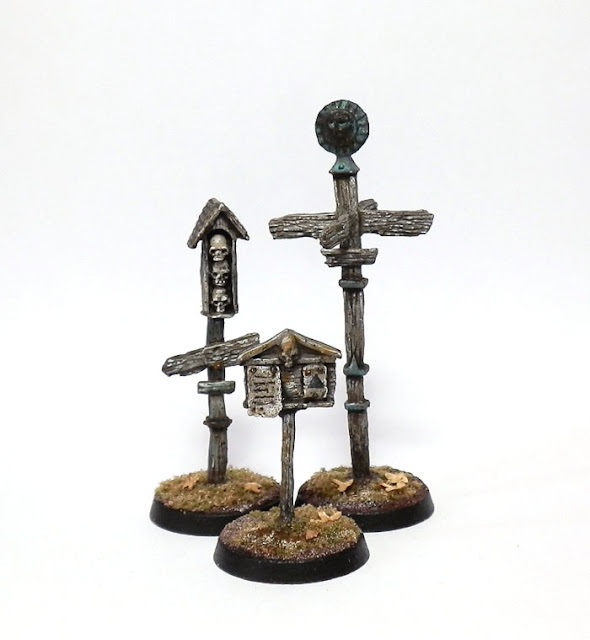 The Isles of Brume is a little sub-setting I concocted for my AoS28 miniatures and their stories. It was a bit different, but for the most part it didn't clash with the official AoS lore, especially in its early days. Now, after a couple years of gradual development, I can say I've grown very fond of it. I started feeling more and more that I wanted to take my ideas further, without the constraints of fitting it in the Warhammer universe. And, what's no less important, without the entanglement with Games Workshop IP making it impossible to profit from all that work in any way. So I've decided to divorce the two. This does not mean I'll stop making AoS28 content (as you'll clearly see when you read further down). It only means no more Folda - just Flesh-eater Courts. No more Mirrogoi - just Deathrattle… I'll still be converting and painting miniatures, they'll still look grim and dark, and with my own twist. They'll still be used in narrative games. I'm simply removing my out-of-control worldbuilding from the equation. For me it's quite a shift, while on your end it hopefully won't be that big a difference. Cut from AoS, what was known as the Isles of Brume will be getting a new life in another form (not as miniatures). I've cleaned up the setting from anything AoS specific (surprisingly little had to be cut), scrapped a bunch of ideas that were weak or no longer fitting, did a fair amount of renaming, and I'm expanding on parts that I think have potential, while adding new, shiny ones. A whole different mythology is forming. When and in what exact form(s) this world will see the light of day again – I don't know. Perhaps it never will. But now it's free to grow in whichever direction it wants. A clean start. New minis. Some of the old ones will eventually get updated and incorporated, but many are getting retired from service (put away into boxes or scrapped for parts). A Stormcast Liberator entering a cemetery with companions. For my humans I'll be using mostly historical minis. 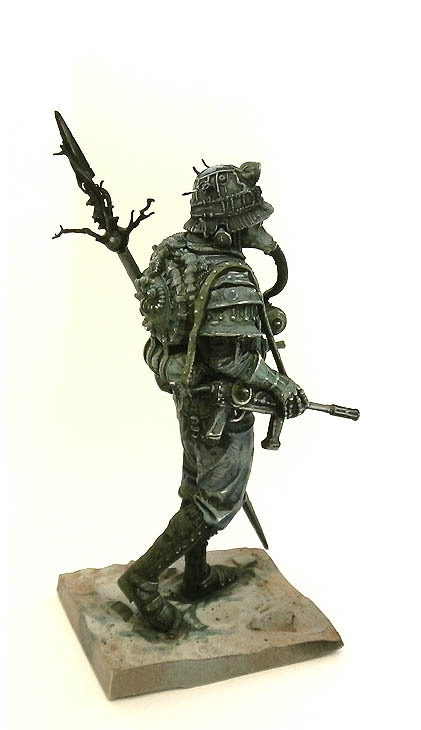 There are excellent medieval kits from Perry Miniatures. 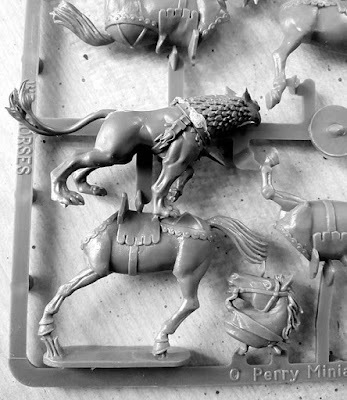 I like the challenge of converting fantasy minis from these very toned-down historicals. Plus, I want a visually coherent look for my humans – and using a limited pool of kits works in favour of that goal. For now I have War of the Roses kits, but I intend to get the Agincourt ones as well. I'm making my first minis with Rangers of Shadow Deep rules system in mind. I'd like to appropriate it for AoS28, with Stormcast in the role of Rangers (player characters) and human soldiers as companions they can hire for missions. 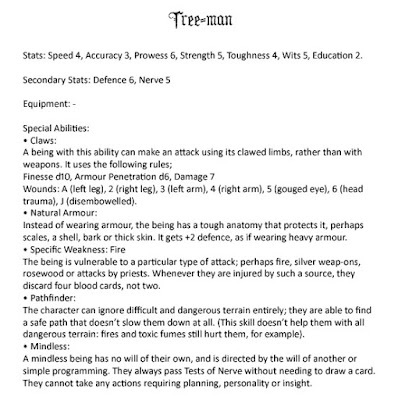 The list of companions includes a nice array of combatant character archetypes, and I plan to make at least one of each. Let's have a look at what I have so far. Plastic Perry Men at Arms with thumbtacks for shields and Mounted Men at Arms weapon swaps; nothing major in way of converting. 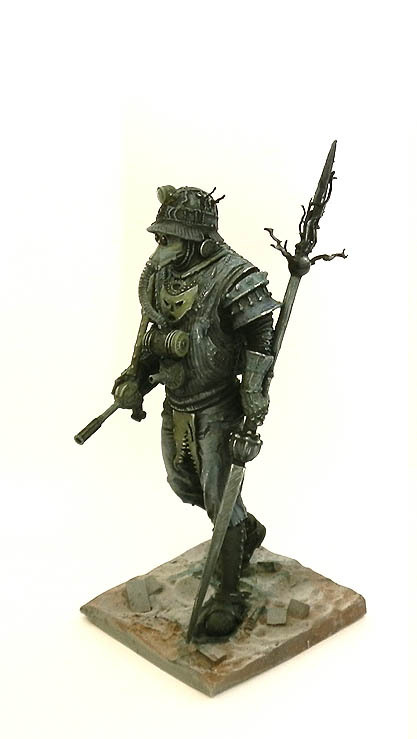 Knights are among the costlier companions in RoSD; clad in heavy armour and armed with a hand weapon + shield. I'll be going with the hammer as their standard hand weapon. Savages are meant to be unarmoured barbarian types with two-handed weapons. Here I got a bit creative with my interpretation, going for a look slightly reminiscent of a gladiator. 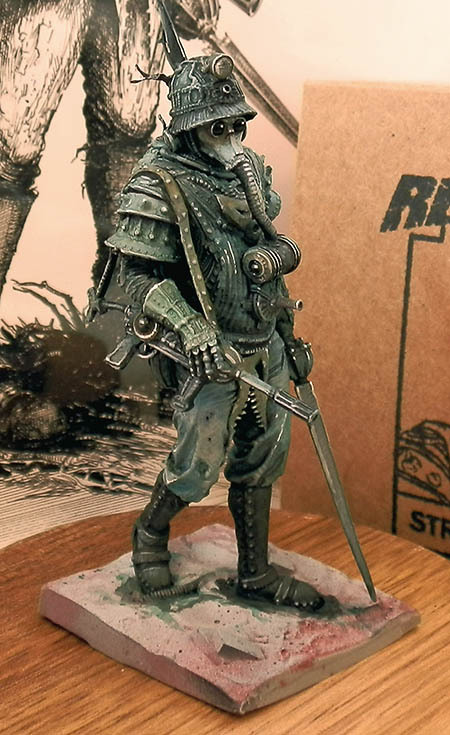 The armoured parts come from Perry WoTR Men at Arms kit, while the bare torso is from GW Wild Riders. Citadel elves have a slighter build than their humans, so they actually fit with the smaller Perry bits. A Barbarian is a hand weapon + shield version of the Savage. Hand axe seemed like the best choice for this one. Same sources of bits, except the shield. It's a thumbtack, and the medusa head relief on it was moulded and cast from a GW Dark Elf lizard cavalry shield. Conjurors are battle mages. I didn't want a classical robed wizard, but something that looks more like a soldier. I really dig the design of mages in Witcher 2, where they wear bits of plate armour (more for decorative purposes than function). This sort of design would make my mages blend in better with the rest of the companions. The mini was built from a combination of Perry kits and a bit of sculpting. Swordsmen are well-trained duelists who fight with a combination of sword and dagger. They are meant to be unarmoured, but I took the liberty of giving mine a plate armoured torso, head and arms, with unarmoured legs to make them look more mobile. Has a sword, dagger and buckler. I will be arming all similar-looking characters (Knights and Templars) with warhammers and polearms rather than swords in order to help tell them apart on the tabletop. The Rogue was a bit of a pain to figure out. It's a stealthy lock and trap specialist with a dagger and throwing knives. Didn't feel right at all to give them any plate armour. In the end went with a GW Glade Guard hooded head (again, elves can actually be perfectly combined with Perry parts) and a Perry Mercenary body. Then I covered the torso with putty. Like the Conjuror and the Rogue, the Arcanist is not the type of companion meant to be pushed in the thick of the fighting. Unarmoured and armed with only a hand weapon, this specialist is an expert in ancient lore and languages. I first imagined something like the Antiquarian from Darkest Dungeon. Since this companion, like the Conjuror, is not going for stealth, I was comfortable giving the miniature some armour. I remembered I had an old Warrior Priest that was pretty small as Warhammer minis go. Replaced his bare head with a Perry helmet and left hand holding a hammer with a plastic empty hand. CCXIV. 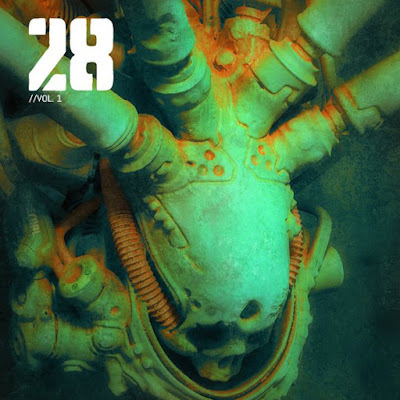 28: Volume 1 - Free Digital Magazine Released! 28, a new free fanmade magazine focused on unique and personal projects in the Warhammer hobby, has released its first issue last night. The mag's 144 pages are packed with tutorials, essays, interviews, articles, artwork, and a whole lot of photographs of miniatures from various artists in the Inq28, AoS28, Mordheim and other related communities. You can download your free PDF here: VOLUME I.
Kickstarter update: the campaign is doing really well. Many thanks to all backers! A demonic snail, stretch goal at 6500CA$, is now unlocked. Just finished sculpting it yesterday. It's available as a 5 dollar add on. Still 21 days to go. The ruler is marked in inches. Size comparison with a couple other demons. They fit on 25mm slotta bases. 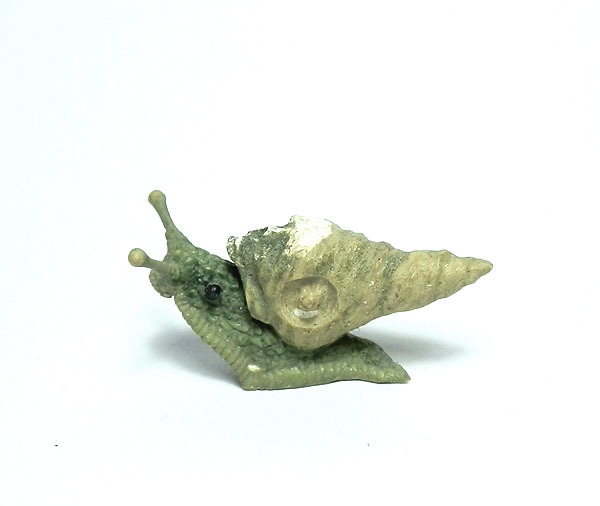 It's a concept from a few years ago, when I made a similar snail demon conversion. With my current skills I was now able revisit the idea and sculpt the entire creature from scratch. Working on its skin texture was especially enjoyable. I used white and standard Milliput for bulking out the shapes, and green stuff + Milliput hybrid for most of the detail work. Kickstarter for Harwood Hobbies' release of my 28mm sculpts is now live! You can go check it out HERE. The final batch of my sculpts got a lick of paint. As you can see, these aren't standalone miniatures like the rest, but rather accessories for basing or scenery. Couple months ago I introduced Sol and Luna, characters I made for trying out The Dolorous Stroke rules system. In the meantime, I've prepared a short adventure, painted a couple more gaming pieces for it, and at last played it – with my brother Ivan as the player and myself as the GM. Area 1: The Windmill. Luna finds a dead soldier and is attacked by a hostile tree-man. I did not use the setting from the Dolorous Stroke book, preferring as usual to set the story in my own (Isles of Brume), where Sol and Luna are both members of a mystical order named Knights of the Firmament. The order is dedicated to a demon named Giger, who allegedly dwells in a subterranean palace beneath their keep. The knights travel around the Isles, spreading Giger's cult by doing great deeds, including interfering with schemes of other demons (using their followers for such tasks is is nothing out of the ordinary for demonkind). Ivan was free pick his knight from the two available, and he opted for Luna. Area 2.1: The Well. Luna gets a chance to miraculously heal some of his injuries. Luna's personality, gender, physical appearance, morality and motivations beyond the mission to spread Giger's religion were up to Ivan. Area 2.2: Wolf Den. Luna helps two soldiers, Hunald and Kottar, defeat a pack of wolves. The soldiers join Luna. I mapped out several areas for him go through, like a dungeon. Monsters and allies await in different areas, with order of exploration impacting what is found. I used 50x50cm quarters of my modular board for the areas within the woods. Since the model count is really low, this was enough space for the action. I intended for it to be contained in the forest, but we ended up having part of the adventure take place in two other locations (village and local lord's keep) because it made sense for the narrative. That part was improvised without miniatures and boards, but since it it involved mostly talking to NPCs and no combat at all- that was perfectly fine. Stats for Luna and one of the monsters. 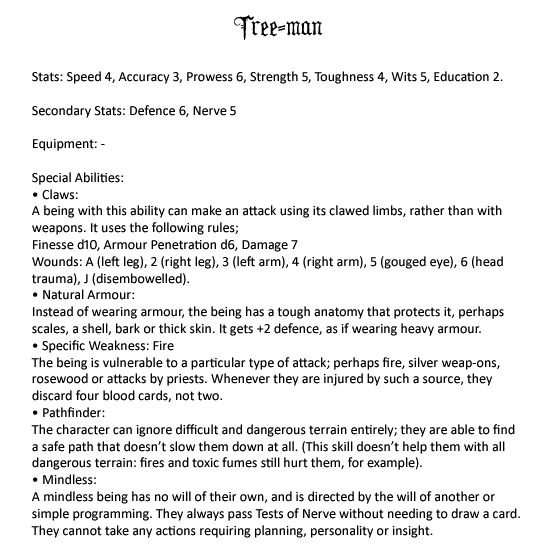 The book has a decent guide for coming up with stats for custom characters. After the first combat, one thing became evident: combat rules in this game look really cool on paper, but when you actually play - a fight can get tedious and go on for ages. 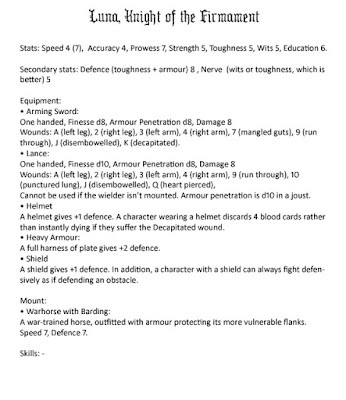 For those who haven't got the rulebook: each character needs a standard poker deck, divided by suits into four piles. Two of those piles are 'Blood' and 'Injury'. When a character loses a round of combat and gets struck by the opponent, they lose a certain amount of blood cards from their pile (when these run out they're dead), and flip a card from the Injury pile to see if they've received an injury (such as 'Left leg ruined' or 'Smashed ribs' - each with its own extra effects). These injuries make fights more cinematic, and I like that. However, I feel that 13 hit points (Blood cards) on each character/creature is too many to keep the game flowing well. Area 2.3: Luna finds fellow knight Sol, and learns the method to destroy the threat deep in the woods. 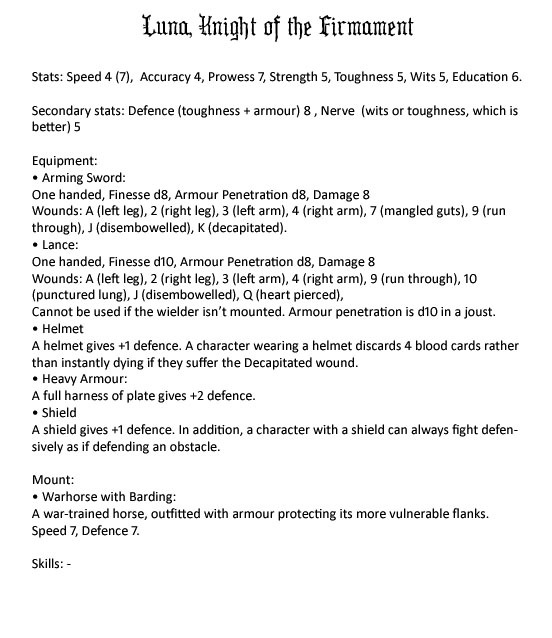 I immediately introduced house rules and some scenario changes for subsequent fights: most characters and monsters started out with reduced number of 'blood' cards, and some were automatically killed when they received any injury. That tweak helped. There is another reason why I wouldn't give each character/monster their own full deck of cards - it takes up way too much physical space. And I found myself limiting the number of miniatures I'm using in a scene not to go over the (not so large) number of poker decks I own, which I think is not a welcome sort of limitation. Area 3: The Treasure - a large construct of wood and bone, guarding the witch's buried treasure. The system has its good and its bad sides. The bad are generally fixable with some tinkering. It has more in common with pen&paper RPGs than with tabletop wargame systems I'm used to (which is not surprising since it was meant to lean heavily on the narrative side, according to the author). The creature in the woods was successfully destroyed in the end, but not without Luna sadly losing both of his two newly-acquired soldier friends. All in all, it was fun to play for both of us.